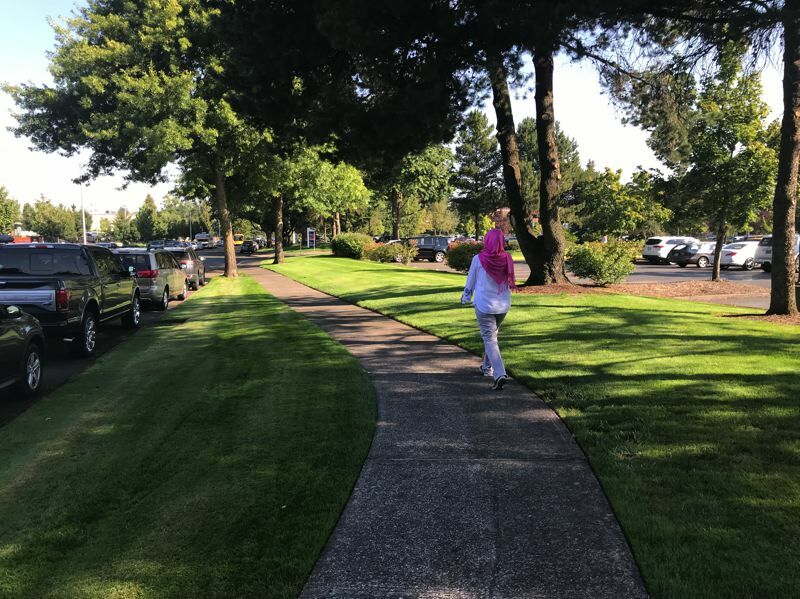 Adventist Health Portland is supporting those improving their well-being with a new fitness trail that winds around the hospital's grounds and features high-tech video enhancements. Adventist Health Portland LivingWell Fitness Trail runs the perimeter of the Adventist Medical Center, 10123 S.E. Market St., Portland. 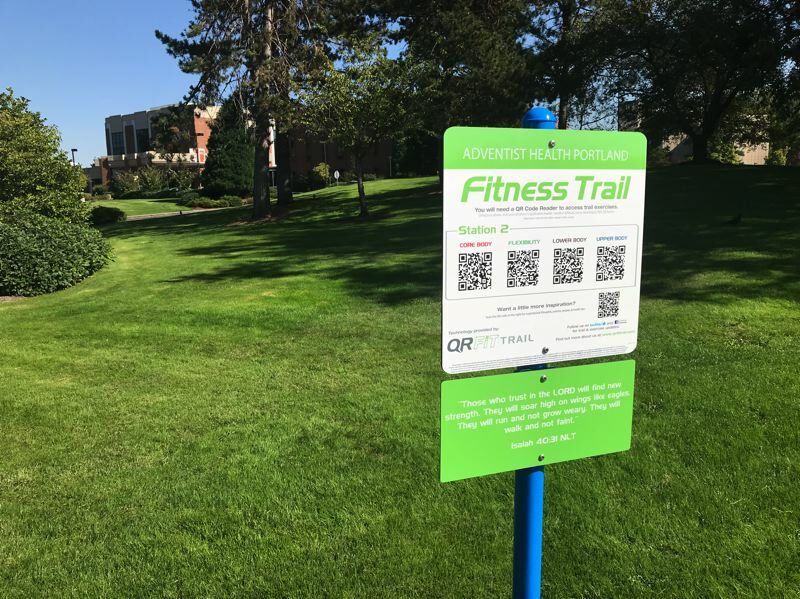 The 1-mile outdoor fitness trail, and other locations in and around the campus, incorporate a series of square QR barcode trail signs. Walkers can use a Smartphone to scan a QR code at each station to play a brief video exercise demonstration on their phone on strengthening the core, lower body, upper body or improving flexibility. Body weight provides enough resistance, so no extra equipment is needed. Walking is a good, basic way to improve health. In addition to improving cardio vascular health, strengthening bones and muscles and likely weight loss, studies show walking also boosts immune function. A study of more than 1,000 men and women found that those who walked at least 20 minutes a day, at least five days a week, had 43 percent fewer sick days than those who exercised once a week or less. Outdoor activity is a mood elevator. A study at the University of Queensland, Australia, found that those who exercised outdoors on a regular basis had higher levels of serotonin, a hormone that regulates mood, than those who mainly exercise indoors. They also had higher levels of endorphins, the "feel-good" rush that occurs after exercising, especially in natural, outdoor environments.